To have a successful internet marketing plan, optimizing your website in order to rank high in search engines is a must! Before engaging in a search engine optimization company (SEO for short), it is a good idea to educate yourself first! I have written this article for people that may be starting out. After all, I can relate because I have been learning SEO as I gain more experience in the internet marketing industry myself! The title tag is the line of text that runs across the top of your internet browser when you are on a website. For example, in the image below, the title tag of the website www.techwyse.com is highlighted. The title tag should be structured to include relevant, flowing key terms and phrases that relate to your website and the content on that specific page. There is no specific number of characters that should be used, but a suggested amount is between 50 to 60 characters or approximately ten words. The title tag will appear in a search engine query (see image below), therefore should make sense to the user. Your website is more likely to be selected in the search engine if the title tag makes sense. A recommended number of characters for the keyword meta tag is between 240 and 250. Again, the keywords should all relate to the information and content that is on that dedicated website, otherwise a search engine could consider this spammy. Organizing your key words in groups within the group so the search engine can read and understand many different variations of those terms. For example, let’s use the title tag of one of our clients www.matrixpost.com. Here is an example of an ‘H’ tag on our website. Planning & Development is a term that is that we would like a search engine to recognize as more important on this page, therefore, we have inserted it into an <h1> tag. <a href="https://www.techwyse.com/">TechWyse</a>That sums up your first crash course on Search Engine Optimization. When choosing an SEO company, use your new skills to ensure you are getting what you are paying for. That would be my best advice to any SEO newbies! Known affectionately as 'Sarge' for her no nonsense attitude, Britt has an array of interests that range from project management, to playing guitar, and video games. She doesn't like to write on the Rise to the Top blog very often, which makes it even more powerful when she does. You’ve presented it very nicely, keeping away the monotony and repeatedness of such a topic like search engine optimization. Be back here soon with your next stage of SEO study! I hope this is only the first installment of your SEO crash program aimed to enlighten the general public about SEO basics. I found it to be educational and valuable. I hope further installments are in the pipeline. I am also a beginner in SEO. Your lessons are really useful for me. Looking to see you on the top with another educative posting. Thanks!! 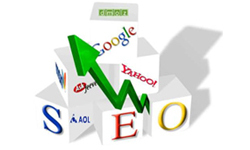 To ensure things are done right, Search engine optimization should be done by able internet marketing companies. It is they who have the professional expertise to position a company in top SEO rankings through their tried and tested SEO methods. (although I recommend making sure the company is ethical! 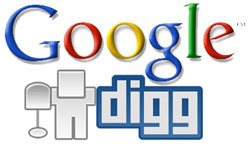 http://www.google.com/support/webmasters/bin/answer.py?hl=en&answer=35291) Your blog is educative and takes a beginner through some of the basics of SEO. Wow, brilliant post. Loved the graphics and explained in a very simple language. Great to have all the importance of On page SEO explained here. Nice post! Learning yourself and teaching others. I like your style as it works well for learning new things. 🙂 Nice post !! !